A new initiative launched by the ACR Data Science Institute aims to empower radiologists to develop artificial intelligence (AI) algorithms at their own institutions, with the use of their own patient data, to meet their own clinical needs. The institute's ACR AI-LAB™ is a data science toolkit designed to help radiologists learn the basics of AI and then use these skills in their practices. Through a series of modules, radiologists will be able to first explore using basic AI tools applied to a variety of clinical settings. "These narrative step-by-step-videos will present general concepts for imaging AI with hands-on interactive tutorials — with the goal of enabling radiologists to consume, create, collaborate, contribute to, and champion AI in their practices," according to ACR DSI Chief Medical Officer, Dr. Bibb Allen, Jr., writing in a blog post at the institute’s website. At present, radiology AI developments are being driven by research undertakings primarily at institutions with extensive informatics and data science resources — and primarily using single institution patient data. Although some of these algorithms are achieving performance levels similar to the performance of diagnostic radiologists, a major challenge is how to make these tools "generalised" to widespread clinical use across multiple institutions. "Many of the algorithms developed thus far have proven brittle in actual clinical use when tried at different institutions. While we all recognise AI algorithms will be more effective when trained across a wide and diverse array of clinical data, patient privacy concerns are an ongoing issue," Dr. Allen Jr. notes. "Such concerns have prevented the release of large volumes of patient data for use in AI research, AI challenges or commercial development, which has in turn limited AI developers’ access to diverse, well-annotated patient datasets and has constrained the ability of institutions to collaborate on AI development." With ACR AI-LAB™, radiology professionals, who have the requisite domain expertise to make AI relevant for clinical use, will have access to the computing and logistical solutions needed to develop AI tools that will improve their practices. Providing tools to aggregate and annotate cases — and to run and evaluate AI algorithms, collaborate with developers and other institutions on training AI models, and create their own AI algorithms without patient data ever leaving the facility — offers a potential solution for privacy protection while opening up more data for algorithm training and testing. Dr. Allen says that attendees at the 2019 ACR Annual Meeting in May will have the opportunity to use ACR AI-LAB™ cloud-based data and computing tools to annotate images for use in developing AI algorithms. Participants will be able to explore and experiment with the AI tools necessary to modify and refine AI models. 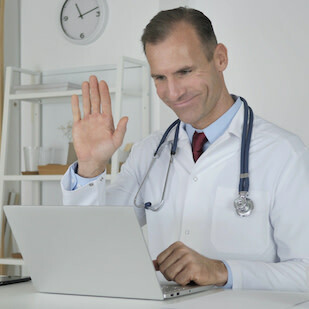 Afterwards, the ACR will provide online access to ACR AI-LAB™ and sample data from publicly available patient datasets along with user friendly computational tools that will allow all ACR members opportunities to learn about annotating datasets and training AI models as well as sample the AI tools that can be used to train and modify existing AI algorithms. In addition, open source AI computational solutions and freely available “base” algorithms will provide institutions the resources needed to improve existing models, develop their own models, or compete in AI challenges around structured DSI use cases using their own patient data. A standard set of APIs will ensure locally developed algorithms can be integrated into reporting platforms, PACS, or EHRs, Dr. Allen Jr. continues. ACR AI-LAB™ will join the DSI’s robust set of tools, including structured AI use cases (TOUCH-AI), an AI validation program (Certify-AI), and an AI performance monitoring program (Assess-AI). These solutions will allow any radiologist to participate in AI development, either by curating and annotating cases according to structured AI use cases, or by contributing to actual algorithm development. "While developing the entire infrastructure for our new platform will not happen overnight, we are beginning the process now," says Dr. Allen Jr. "We are excited to have begun developing projects that will help democratise AI for all radiology professionals. We hope all ACR members will get involved in this exciting opportunity to shape radiology technology." Imaging, PACS, Radiology, Radiologists, patient data, algorithms, clinical data, data science, EHRs, Artificial Intelligence, AI, privacy protection, DSI, datasets, ACR Data Science Institute, clinical needs, ACR AI-LAB™, data science toolkit, imaging AI, interactive tutorials, diagnostic radiologists, TOUCH-AI, AI validation, Certify-AI, Assess-AI A new initiative launched by the ACR Data Science Institute aims to empower radiologists to develop artificial intelligence (AI) algorithms at their own institutions, with the use of their own patient data, to meet their own clinical needs.